Why buy as a download? 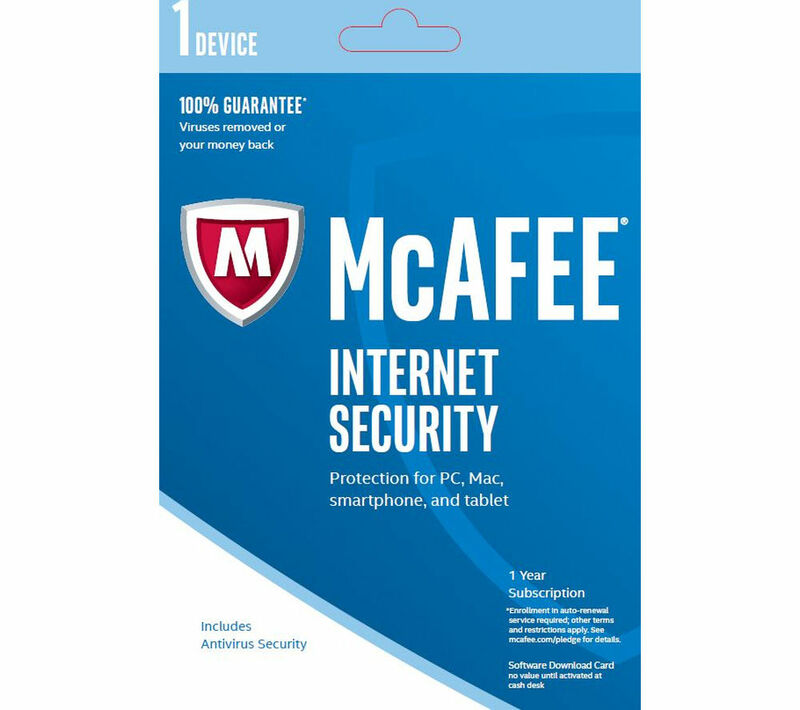 With McAfee Internet Security, you can cover your PC, Mac, smartphone or tablet to make your digital life more secure. McAfee Internet Security prevents viruses, malware, spyware and spam from reaching your computer, with a robust security system that works hard to block every element of harmful software. By blocking inappropriate sites and setting time limits, you can make sure that your children have a safe online experience. With a detailed usage report you can keep on top of what everyone has been up to. Internet Security from McAfee employs anti-theft technology so you can lock and locate your stolen device. Your data will remain encrypted while you track the device, and should the computer be found, the information can quickly be recovered, or remotely wiped if the device isn't recovered. True Key Identity Manager with biometric authentication lets you quickly log in to sites, apps and more using facial recognition. Monitor your WiFi when you're not there with the network manager, to block unknown devices from accessing your Wi-Fi and remotely monitor your WiFi. was real easy to set up just followed instructions.